Mark Kramer is Director of the Cold War Studies Program and Senior Fellow at the Davis Center for Russian and Eurasian Studies at Harvard University. 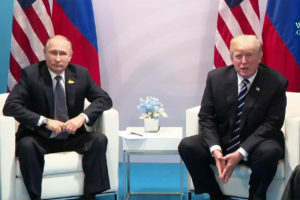 Over the past twenty years, observers such as Stephen F. Cohen have argued that relations between the United States and Russia have been plunged into a “new Cold War,” which Cohen attributes to the failure of U.S. policymakers to take account of Russian security interests. Cohen started using the “new Cold War” characterization long before other analysts did, but the Cold War metaphor has gained wide popularity over the past several years, particularly with the surge of East-West tensions resulting from Russia’s annexation of Crimea in March 2014; Russia’s central role in the prolonged armed conflict in Ukraine since 2014; Russia’s military intervention in Syria since 2015; the Russian government’s wide-ranging interference in the U.S. presidential election in 2016; and the Russian intelligence services’ use of assassins against Russian defectors living in the West. Articles and books proclaiming a “return to the Cold War” or a “new Cold War” have poured forth. The relationship between the United States and Russia over the past five years has been typical of a great-power rivalry (e.g., the rivalry between Great Britain and France in the 18th century or between Tsarist Russia and Ottoman Turkey in the 19th century) and is best characterized as such rather than as a “new Cold War.” Great-power rivalries can be relatively benign, or they can be tense and unstable, sparking periodic crises. The notion of a “new Cold War” may be useful for activists who are seeking to persuade Western governments to take a strong stand against Putin, but the use of that term is not analytically meaningful unless the three fundamental features of the Cold War recur in the future. That has not been the case with post-Soviet Russia despite the surge of tension under Putin. The acrimonious relationship between the United States and Russia over the past five years has been a stark contrast to the friendly, cooperative ties between the two countries in the early 1990s, when they were partners rather than rivals. Nowadays, the United States and Russia are indeed rivals and often antagonistic, but they are not engaged in a new Cold War. Putin and his aides would like the world to see Russia as a superpower capable of challenging the United States the way the Soviet Union once did, but U.S. policymakers should avoid such misleading metaphors. The Cold War reflected special circumstances that are unlikely to return. Analytical precision is crucial if we want to understand why and how a great-power relationship can deteriorate and, potentially, how it could improve.